Portugal's prime minister has ruled out any backtracking on the country's bailout terms as his revamped government easily won a confidence vote intended to show it has repaired an internal rift over austerity. Speaking to parliament before the symbolic vote on Tuesday (30 July), Pedro Passos Coelho also said the economy was giving signs of nearing a turnaround after a long, deep recession, showing the country was taking the right path out of its debt crisis. All members of parliament from the two parties of the centre-right ruling coalition, who have a solid majority in the house, voted in support of the motion of confidence. The opposition Socialists and two other left-wing parties voted against, their leaders dismissing the premier's optimism about the economy and saying austerity only leads to disaster. A dozen protestors in parliament's gallery put on red clown noses to show their disdain for the vote, which Socialist leader Antonio Jose Seguro called a "make-believe act". Some investors fear the re-jigged government may be less amenable to further budget tightening because the party that disagreed with some austerity measures has won more clout. The premier said: "There are 10 months left of the assistance programme, full of challenges and tough choices. But it certainly isn't now that we will falter … We will manage to make structural spending cuts under the terms already announced." Portugal has promised to cut spending by €4.7 billion by the end of 2014, the year in which Lisbon hopes to return to normal market financing. Many investors believe it will still need some form of further support, not least due to its steep recession. 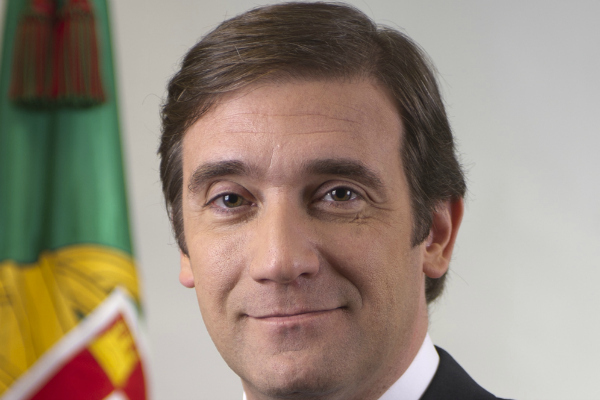 But Passos Coelho said: "There are growing positive signals in the economy that we may be very close to the turnaround that all the Portuguese want." The economy is still in its worst recession since the 1970s and the government expects it to shrink 2.3% this year before returning to slim growth in 2014. It estimates that the economy started recovering in the second quarter. While the government has also promised to boost growth by cutting corporate taxes, the premier said any fiscal reform must be gradual. "We don't have budgetary margin … to accommodate a corporate tax reform in just one year," he said. The ruling centre-right coalition narrowly avoided a breakup this month by striking a deal that made the leader of the junior coalition partner, Paulo Portas, deputy prime minister, averting a renewed spiral in the euro zone's debt crisis. Portas said "the country has a reduced room for manoeuvre" as it heads for the bailout exit and would have to restrain spending to enable any future tax cuts. Under its bailout goals, Lisbon must cut its budget deficit to 5.5% of gross domestic product this year from last year's 6.4%, and then reduce it to 4% in 2014. In my view, austerity measures are both productive and unproductive. In simple words, those measures banks upon how concerned economic stakeholders react to them for a related period of time. There is not a single figure on the economic performance of the country that is better today than 2 years ago, when the austerians came to power. And in the process they managed to swell sovereign debt by another 30% of GDP. When the so called aid programme ends, in June of 2014, the debt to GDP ratio should be over 140%. Portugal needs an active industrial policy to overcome its wine and olive export dependency and get some economic autonomy. As it have to import great part of industrial goods needed, Portugal can´t go away without full and unconditional access to international finance. Austerity will not change this, just adapt them to its poor economic framework. Austerity is the Portugal´s destiny if it believes in market powers to build the future.